OK, so now you are youth coach, and know very little about how to run a youth lacrosse practice. Heck, when you grew up they did not even have lacrosse. Or maybe, you played lacrosse many years ago but went on to different things. This is great place to start, help is on the way. We will shorten your learning curve and make it fun in the process. 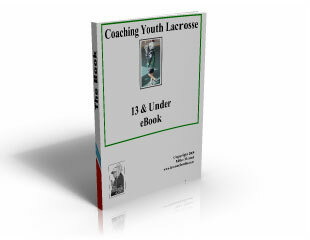 This 22-page guide to Coaching Youth Lacrosse is targeted for coaches working with kids 8 to 13 years old, most with very little experience. (Both Kids and Coaches) Written by a coach with over 35 years experience the eBook will guide you through the process from your Philosophies to actual Drills for each skill set for beginners. This is an eBook in pdf format. Your access is immediate after purchase, and the Bookmarks will take you directly to areas of interest. I hope you enjoy, and if you have any questions at all, please email us at mike@laxcoachmike.com, after all, Coaches Getting Better Together! Get immediate access for $15.77.